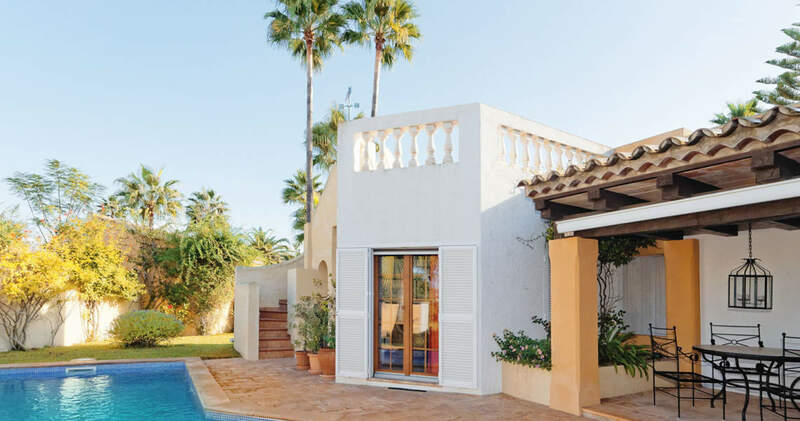 This exclusively equipped villa is located on the front line of the Santa Ponsa I golf course, within one of the most sought-after complexes in the Southwest, which offers a large communal terrace with swimming pool. 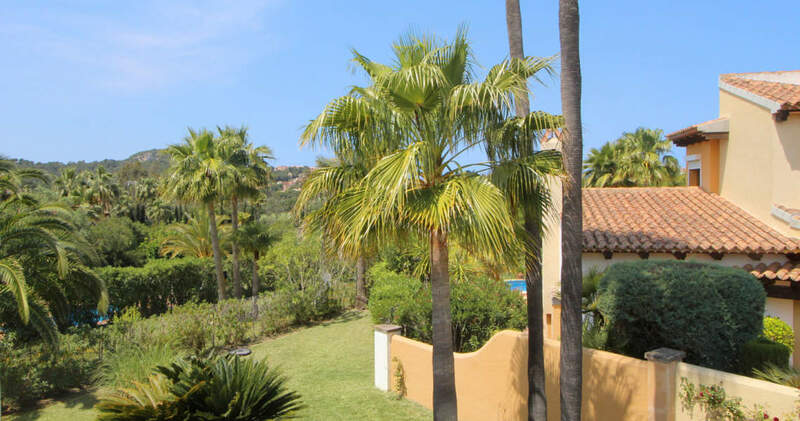 The town center, other golf courses, several beaches and two marinas are within a few minutes’ drive. The main living area of the “Finca” style house features an open plan living/dining area with American kitchen, two en suite bedrooms and a guest toilet. 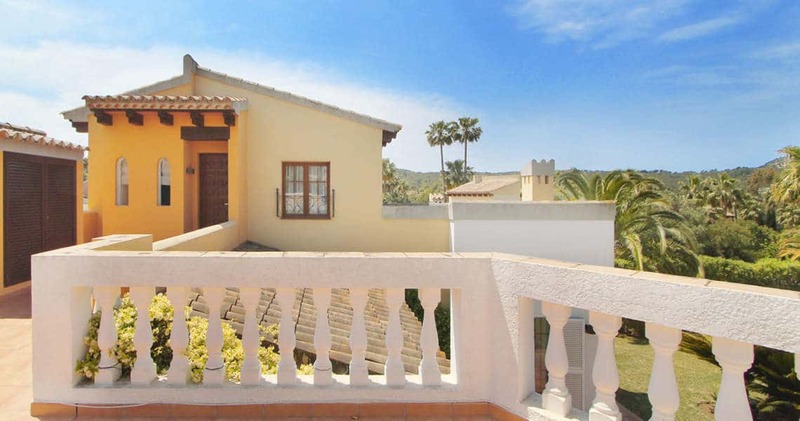 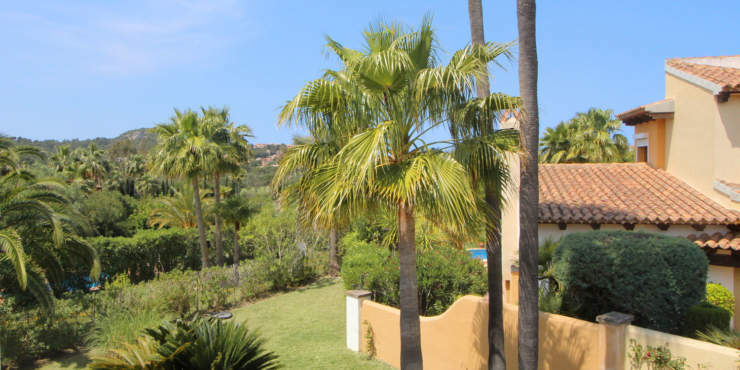 On the upper floor, which is accessed separately by means of an external staircase, there is a bedroom with bathroom and a sun terrace with beautiful panoramic views. In addition, there are a garage and a utility room. 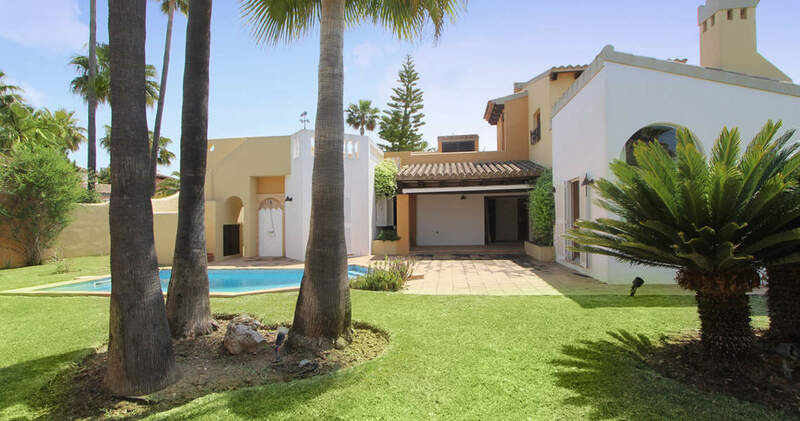 The inviting outdoor area offers open and covered terraces with swimming pool and an automatically irrigated garden.